PRICE REDUCED - COME AND GET IT! There's so much to enjoy in this home featuring 2 spacious bedrooms; large bath w/double vanities, tile floors, & beautiful counter top; open living & dining room w/ 2-story rock fireplace & loft area as bonus living space! The kitchen features all appliances, under-cabinet lighting, a pantry, & vaulted ceiling! So many updates have been done including new vinyl windows; new furnace & A.C.; new carpet & beautiful laminate floors; re-done deck off living room w/ views of downtown & foothills! Washer & Dryer stay too! New roof was installed in 2017 by the HOA & swimming pool is just outside the front door! Low HOA fee of $193 / mth = lower payments!! 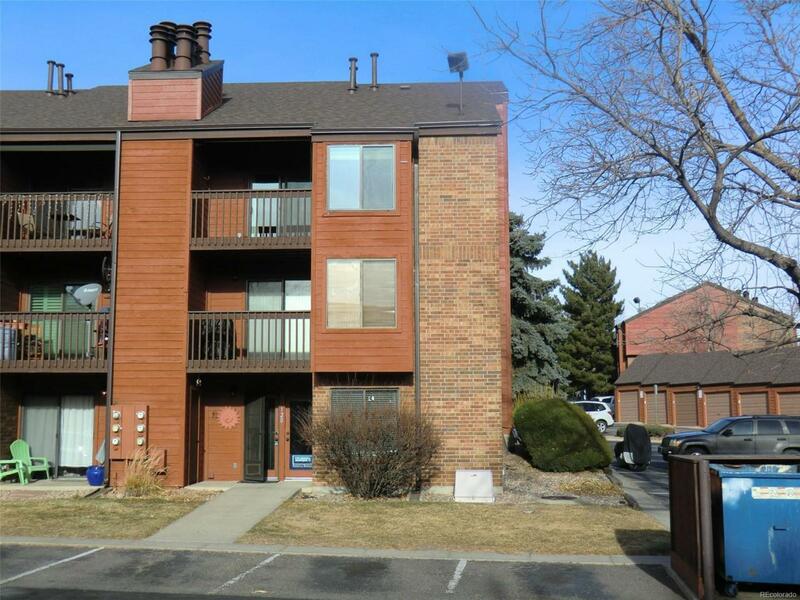 Easy access to the light rail station at 6th Ave. frontage road & Arbutus St. & RTD; minutes to the mountains or downtown! Great amenities including shopping, dining, St. Anthony's, Red Rocks College, more! 1 Reserved Parking Space - #99; Wow - come see and buy today! Let's Close! !